Nairobi (AFP) - The seizing of the Aris 13 tanker and its Sri Lankan crew on Monday -- the first successful attack by Somali pirates since 2012 -- came as little surprise to John Steed of the Oceans Beyond Piracy campaign group. 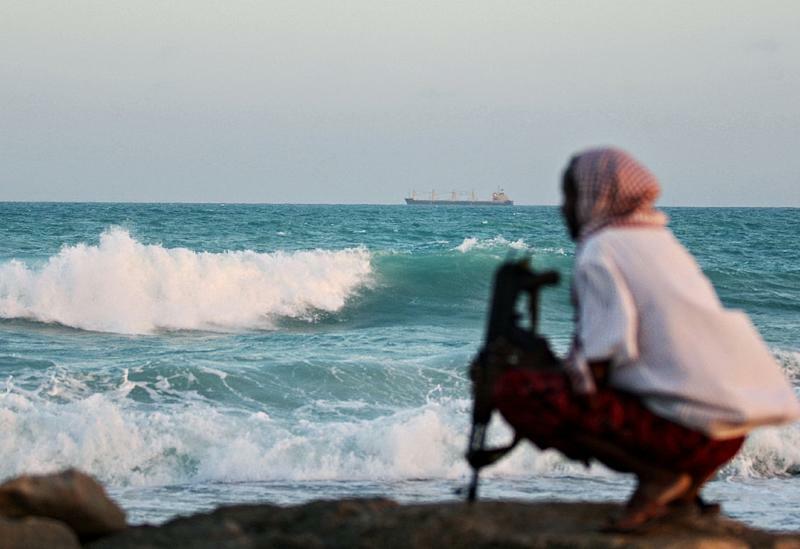 International naval patrols and anti-piracy measures on commercial ships have practically eradicated Somali piracy since its peak in early 2011. But the poverty and other factors motivating the pirates have not disappeared and some ships may be letting their guard drop. "The question wasn't really if an attack was going to happen, the question was when," Steed, who heads the Horn of Africa section of the non-governmental organisation (NGO), told AFP. Steed says the international community took significant steps to improve security, boosting naval forces in the area and requiring ships to take protection measures. These included reporting in and out of high risk areas, sailing at top speed as far away as possible from the coast and travelling with armed escorts. "Hundreds of pirates were arrested, others gave up, and we hadn't had an attack of a commercial ship for five years," he said. "But the one thing that's not really been addressed is the real root cause of this, which is poverty and the lack of jobs on the ground. There's also a drought, so there's no food, no water." Illegal fishing in Somali waters, often by ships from Southeast Asia, feeds resentment among locals, who have seen outsiders looting their resources, Steed said. "We've been warning that the pirates haven't gone away, they've just been doing other things, they're smuggling all sorts of goods, like weapons. And when the opportunity came to take a ship, they've taken it." After five years without a successful attack, Steed said, complacency may have set in. "It's human, companies will say to the captain 'don't use so much fuel, sail more slowly, take the shortest possible route from A to B' -- it saves money and fuel," he said. Sometimes crews will ask the captain to sail close to the coast so they have phone network coverage to communicate with their families, he said, and naval forces are under pressure to redeploy to higher profile areas such as the Mediterranean. "Without any pirate attack for five years, the number of assets and resources available to international naval forces are less than they were at the height of piracy," he said. Steed said the Aris 13 made itself very vulnerable. "This ship took a shortcut and sailed close to the coast," he said. "They were an opportunity target, sailing slow, sailing close to the coast, no protection, no armed guards. It was an accident waiting to happen." "There is a potential for copycat attacks. If this one was to be successful, possibly with ransom money, other pirate groups might try the same thing," Steed warned. Shipping must get back to following proper security procedures, he said, and for a long-term solution the problems of Somali fishermen must be addressed.